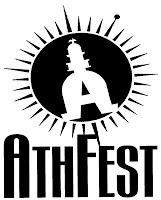 Can&apos;t wait for AthFest? Wish you could have a preview now? Good news: you can! The Melting Point is hosting an Athfest Sampler Hoot tomorrow night at 7:30 p.m. The event will feature music from Betsy Franck, Goodman Brown and The Corduroy Road plus Lombard, Norman &amp; Hunter. In addition to the music, they&apos;ll be handing out AthFest goodies! Most importantly, the whole thing is free. Shows at the Melting Point cost a little something, so don&apos;t miss out on a great atmosphere &amp; great preview! Can&apos;t make it to the preview or want more after the preview? Don&apos;t forget to visit our website &amp; take advantage of the AthFest package. It includes a hotel stay for two, two AthFest wristbands, CDs, T-shirt vouchers, and Music Heritage Tour tickets as well as a Downtown Gift Certificate ($10 value) and other cool AthFest gear delivered right to your hotel. Click here to reserve your package!